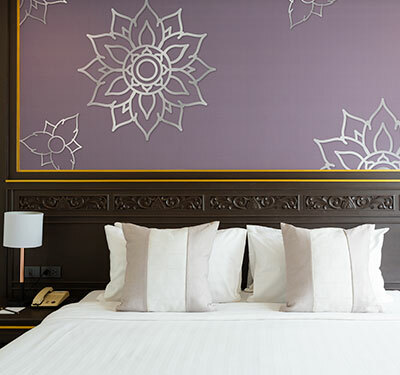 With its prime location near the Ao Nang beachfront and a fresh minimalist-Thai modern design, you will just love the relaxing experience at Krabi Heritage Hotel. From the moment you arrive at our elegant lobby, the chilled ambience and friendly, welcoming smiles will instantly make you feel at home. The hotel is located in a prime location and close to all the best attractions and amenities. 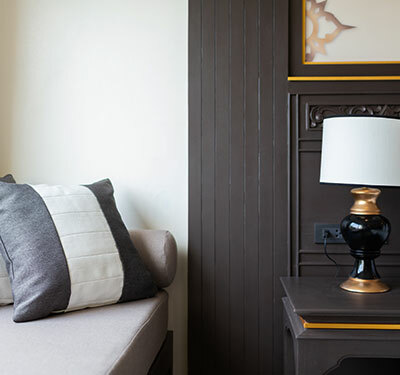 You are just a few steps away from the beach, shops, restaurants and a stone throw away from the boat pier, offering endless opportunities to explore the stunning islands and bays in the Andaman Sea. 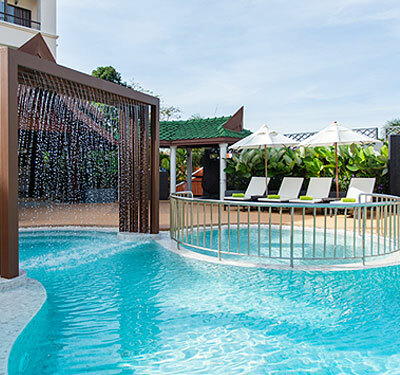 However if all you want is to kick-back and relax, there is no need to go anywhere – our outdoor pool and sun loungers is an idyllic oasis for couples and families, where you can enjoy a cool cocktail and a delicious bite to eat while you relax and unwind. Hotel Web Design & Online Marketing by Web Connection. &COPY; 2019 Krabi Heritage Hotel. All rights reserved.